Fear. The one word/concept I have struggled with my whole life. When I was younger, I used to have terrible dreams. These dreams weren’t just scary, they were vivid and it felt like I was living in them. I would wake up but still feel like my life was in the dream and it took me a good 30 seconds to shake the feeling. I am not sure if it was because I watched movies like “The 6th Sense” or “Happy Hollow“, but I always went to bed fearful. Every door had to be shut in order for me to go to bed, and I had to have a large stuffed animal with me. Luckily when I turned 8, I got a Golden Retriever who would sleep with me for the next 9 years! So stand up to fear today and the lies of Satan. Show them how big your God really is. 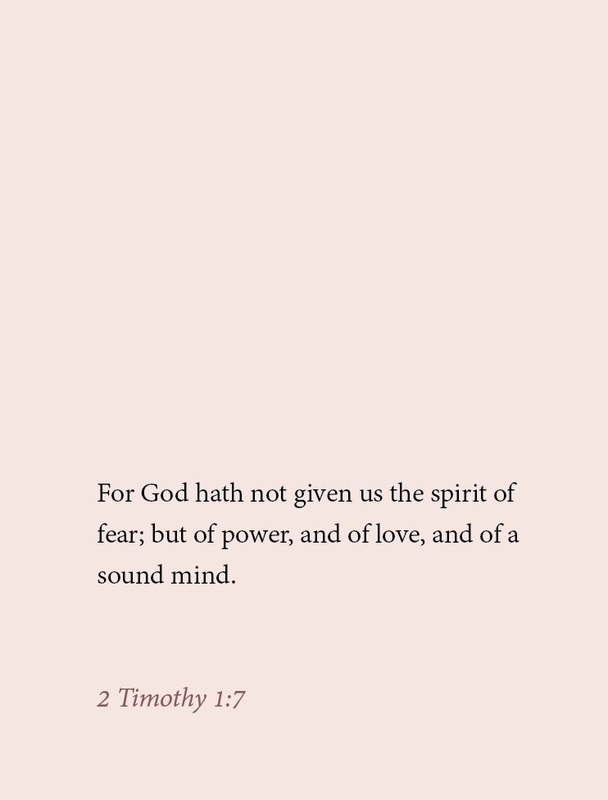 Any time you feel fear, say the name of Jesus aloud and/or recite scripture and the enemy has to flee!